Viva la Mexico! We were in Tulum last week and got bitten by the Mexican foodie bug – guacamole, pico de gallo, black beans and blackened rice. I’m having a hard time coming back to the snow and cold as I dream of blue water and white beaches so to nurse my holiday hangover we are having a weekend of Mexican food. 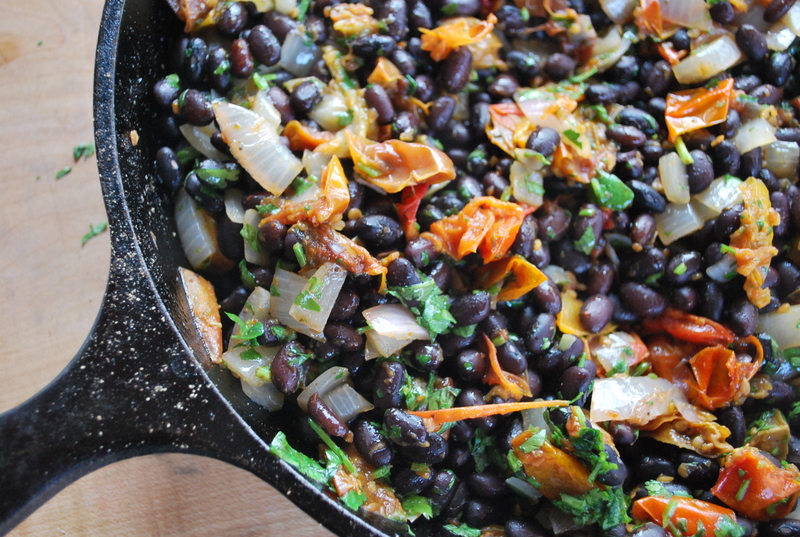 First on the menu is Black Bean Stew with Chipotle and Tomatoes. A little Blackened Rice on the side with a dollop of salsa and you’re transported to the Mayan Riviera. I can smell the ocean. Drain the beans, cover them wiht 6 cups fresh water, and boil them hard for 10 minutes, skimming of any foam that collects on the surface. Add the epazote, onion, and oregano. Lower the heat and simmer, partially covered, until the beans are partially tender, about 45 minutes. Add about 1 tsp salt and continue cooking until completely tender, 15 to 30 minutes more. Heat oil in a roomy skillet or saucepan over fairly high heat. Add the onion and saute for 4 to 5 minutes to soften. Add the beans, chile, tomatoes, and cilantro, lower the heat, and simmer for 15 to 30 minutes. If the beans are dry, add a bit more water. 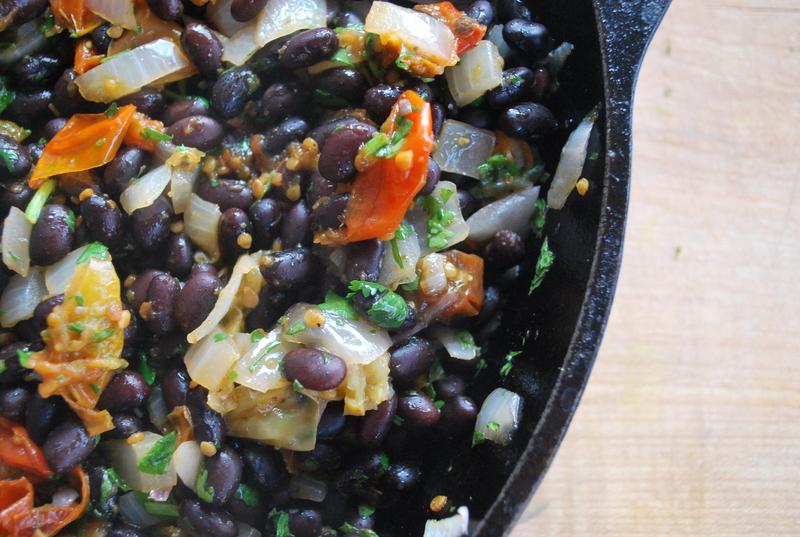 Taste them for salt, then turn the beans into a dish and garnish with more cilantro.